Access Profiles, Inc.: How You can Achieve Your Entrepreneurial WIN! 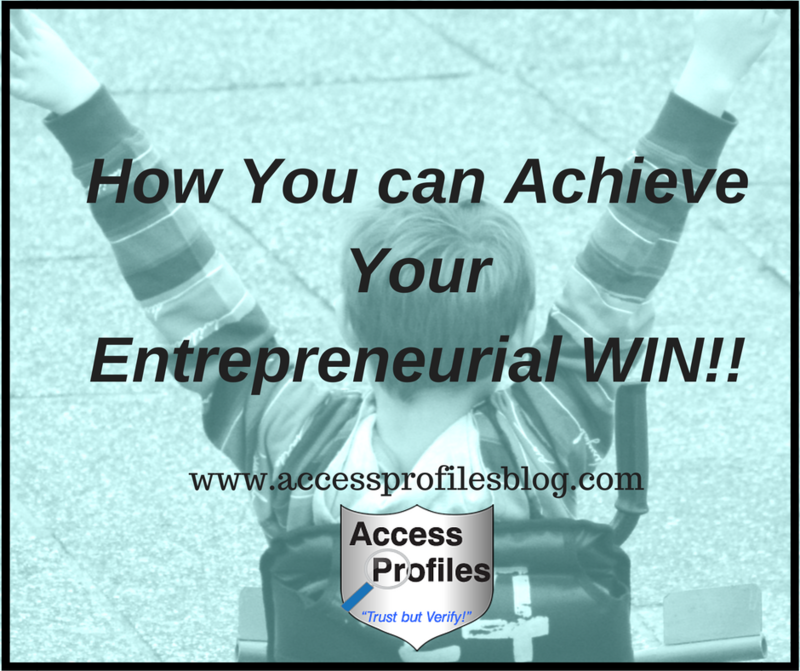 How You can Achieve Your Entrepreneurial WIN! We all want to succeed. For some, success may mean finding your dream job or owning your own home. For others, it can be as simple, and as truly fulfilling, as finding someone to love who loves them back. But if you have the drive to become your own boss, then your ultimate triumph is to create your own viable and successful business! 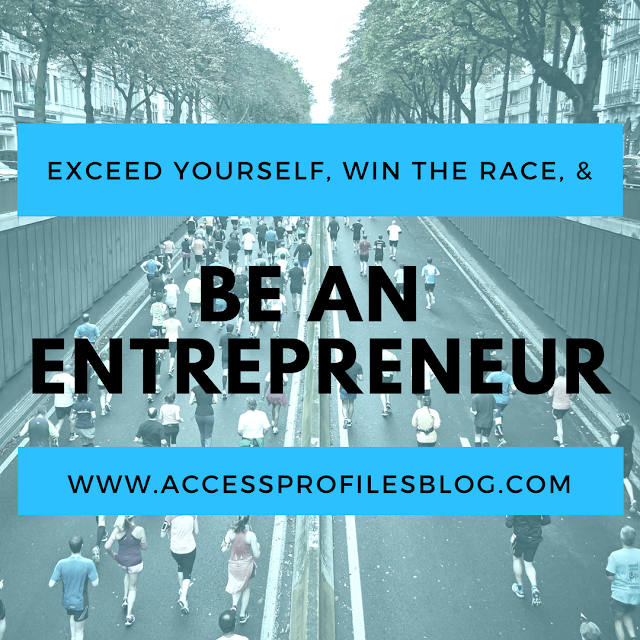 And while that may seem like an easy and straightforward feat at first, more often than not the road to entrepreneurial success is fraught with roadblocks and detours. I often find that it is those challenges that hold the biggest lessons. They help us focus and discover what really works for us and our businesses. There is no doubt that you will learn a lot along the way. To help you get a jumpstart on your own journey, I share some tips that have not only helped me but also my entrepreneurial friends! What You Need to Know to Run a Successful Business! "Tweet This"
Have a Business Plan ~ and Write it Down! Don't Shy Away from Being a "Solopreneur"
Find Time for a Personal Life & Remember to "Unplug"
Learn more about each of these tips and what they can do for you in "10 Lessons to Help You Find Success in Your Small Business". Over time, I have found two other tips that I believe will also help you realize your business goals. Number 1, Get Your Family and Friends Onboard. Let them in on everything that you are doing and what you hope to achieve. They can be your best cheerleaders and your biggest support system. No one can make a go of it truly alone. Number 2, Never Stop Learning! No one knows it all. But keeping your mind and eyes wide open to all the resources around you will help your business stay current and succeed. As in most things in life, curiosity and a thirst for knowledge is never a bad thing! Running your own business can be a rewarding and fulfilling experience. 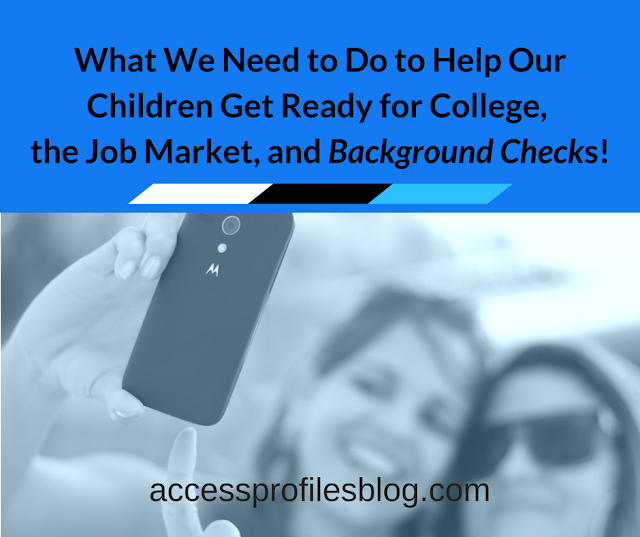 The key is to put in the work, know when you need help, and strive for a well-rounded life. Accomplish that and you will truly be a success! Discover more tips by visiting our blog. Subscribe Now to get one new article each week focused on You and Your Business! 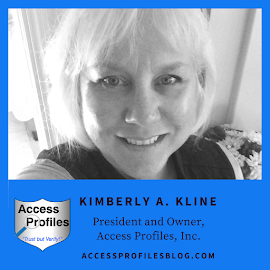 Visit our About Us, Background Investigation & Applicant Services, Business Mentoring, and Security Consulting pages to learn more about Access Profiles and what We can Do for You!